In this hot weather plants – and especially thirsty vegetables – are at risk from dying if they don’t get a good soaking. I have two allotments and in hot weather they need at least 200 litres of water poured on them a day. I sometimes picture what it will be like 10, 20 or 30 years into the future as the UK starts to face warmer and drier summers. It would seem that being prepared for gardening in a drought is not only pertinent but imperative. Most gardeners have a few tricks already up their sleeves for coping with hot summer weather. 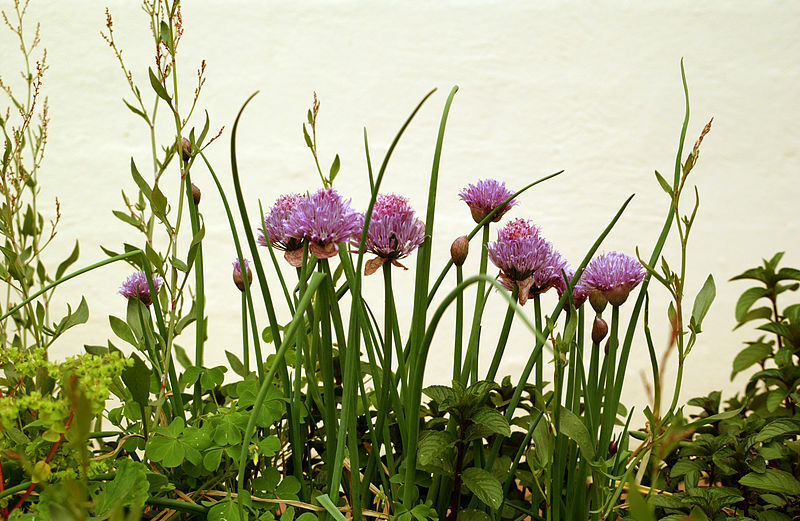 The first steps for the drought gardener should involve collecting and conserving as much water as possible. Collecting rainwater should be the number one priority in drought gardening (especially if we have wetter winter conditions). Most houses with pitched roofs should be easy to set up to do so and you might be surprised with how much water you could save. This rainwater calculator is great for calculating the size of the water tank you could use in relation to how much water a roof of your size in your area can collect. Those on a lower budget who may not be able to afford water tanks can also buy water butts, these are sometimes available from local councils at a cut price rate. A word of warning must be uttered here if you have lead or other suspect material on your roof it probably isn’t such a great idea to have that end up in your belly! Greywater harvesting means saving and reusing water from your washing machine, bath tub or shower. This should only be done if natural cleaning products are used. It should also only be used as a supplementary water supply, as traces of sodium from the cleaning products can build up and weaken the soil structure. There are pumps and diverting attachments available to harvest greywater, but the cheapest and easiest way has to be that which is used by an Australian friend of mine, he takes a bucket with him into the shower! Another foolproof way of keeping that precious moisture in your soil is to mulch. When a tree loses its leaves during the autumn months it is not only doing so to conserve energy but also to retain moisture and suppress weed growth. What’s more it helps to put nutrients back into the soil. Wetter winters and drier summers could mean that more of our soil nutrients are prone to leaching out into watercourses, so it is important to put some of it back. Mulches come in various shapes and forms, and some are free and easy to obtain. Our local park is full of leaves and every autumn and last year the council came along and burnt them. Likewise, grass clippings can often be seen sitting on top of lawns going to waste. Both can be put to good use. I put grass clippings straight down on my allotment and surrounding water hungry plants. If using leaves as a mulch it pays to let them break down a little bit by running a push mower over them. Pack a bin liner full of leaves in the autumn and put a couple of holes in the liner. Apply the contents as you need it during the following year. In areas where they are used to drought, such as Australia and California, they also let their plants savour every drop of water. Tubes can be embedded in the soil next to plants and used to water plants, meaning deeper moisture penetration plants root development (you might have seen a tube next to urban trees this stops the roots from disturbing foundations). My own experiments suggest that a tube the size of a hosepipe is too small and using a 2 litre pop bottle with the end cut off will certainly do the job. It is also good practice to water either in the morning or the evening so that the sun won’t evaporate the water you do use. Planting drought tolerant plants should be another consideration. You have to think long roots when planning your drought garden. For instance, many vegetable gardeners will have a patch of Jerusalem Artichokes (neither from Jerusalem nor an artichoke) on their plot. I haven’t watered mine all year and they are still very happy and growing strong. In fact you might hear some gardeners bemoaning the fact that once planted, Jerusalem Artichokes just keep on coming like weeds! Other vegetables with longer roots include leek, parsnip and carrots (once established). Some herbs with woody stems, such as oregano, thyme and rosemary, will do well in a drought. A thought must be given too to the design of your garden. Often in gardens there are areas that will hold water and areas where it will simply evaporate. Drought gardeners learn to manipulate the land slightly and channel water from water logged areas to areas that really need it. This might sound rather daunting but it need not be – a simple trench between your tomato plants will suffice. Finally, if you have ever wondered about why plants have spacing instructions on the back of the seed packets it is to give them optimum conditions. If plants are grown too close together they will compete for water, leaving the soil empty of moisture. However, forest gardener Robert Hart has undertaken some experiments and has found that you can often cram in plants together if they are of a different species. Therefore you can ignore the spacing instructions a little as long as you plant varied species, another argument for rich biodiversity (not that we need one)! As for myself, well I have found one sure-fire easy way to cope with the future drought conditions in the South – I am moving to Scotland where there is more water in Loch Ness than there is in every river, lake, brook and stream in England!